Winding yarn is so fun and satisfying. 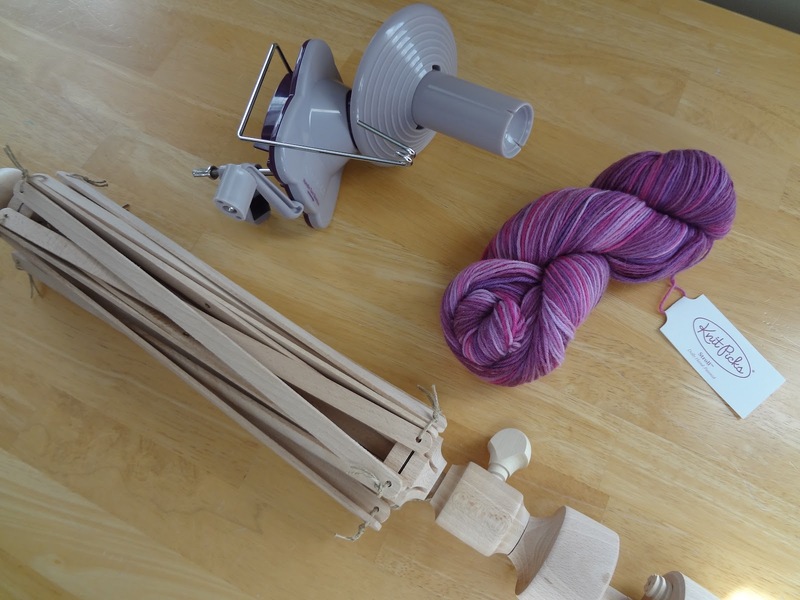 I used to rely on my yarn shop to do it for me, and finally got some tools to do it myself when I ordered some yarn online and didn't have that luxury. to this perfect little yarn cake, making it easy to pull yarn from its center. First you'll need to set up your equipment. You'll need a table with a sturdy edge for both clamps. If you desire, place a piece of fabric in between to protect your surface (my table doesn't mind). My particular model ball winder turns to the right, so I placed the ball winder on the right and the swift on the left about a foot or so apart. Be sure to get these nice and tight onto your surface, no wiggling allowed! Using the knob on the side to raise and lower the umbrella and the wooden screw to tighten, place the on the swift. 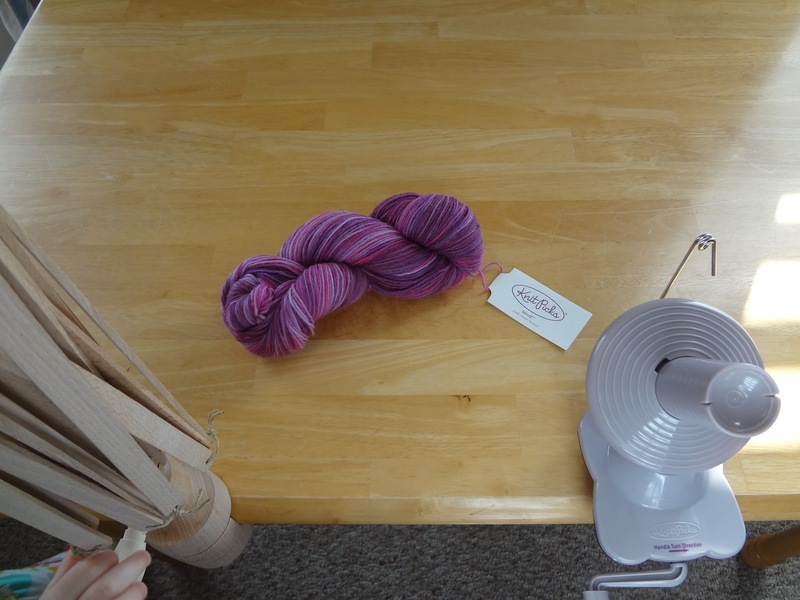 I like to put it on the partially open umbrella, then open it up all the way so that the yarn rests comfortably, not too tight, but not so loose that it is saggy. Be sure there are no twists in the yarn either. Some people like to snip the yarn before placing it on the swift, I like to snip it after it is already on the swift. 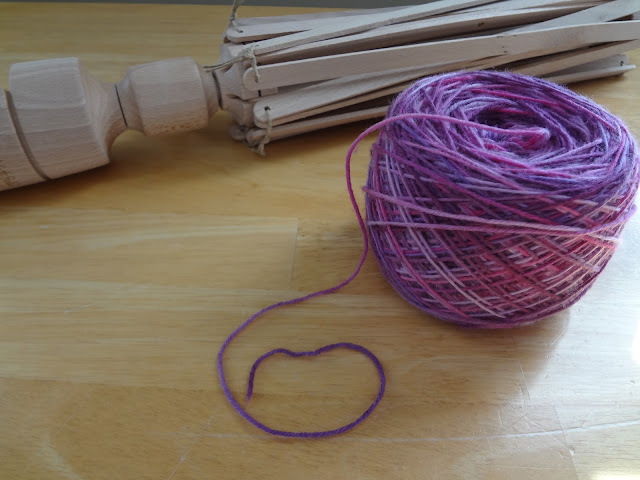 Now, if you don't have a ball winder, you can skip the next part and wind it into a ball with you hand, or if you have a ball winder, keep reading! 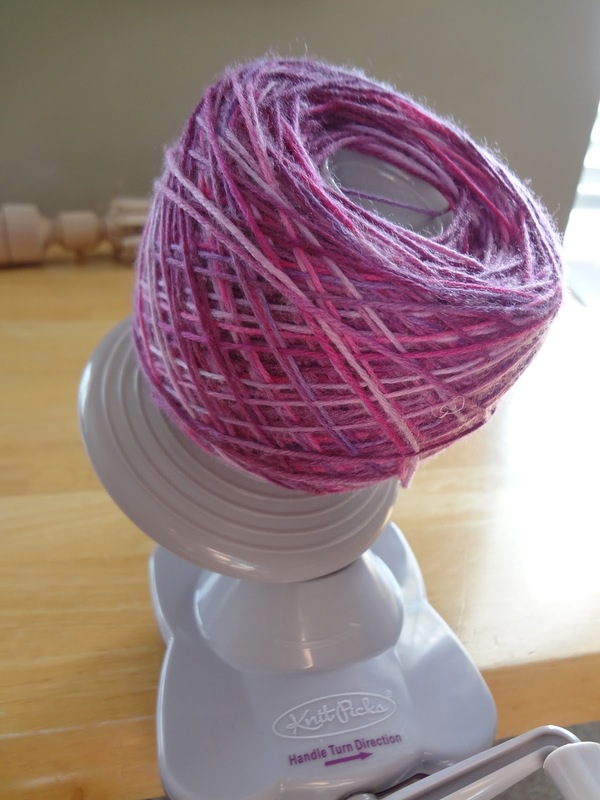 Ball winders are really handy because they save time and make a neat little “cake” of yarn with a handy pull string in the middle, thus eliminating a ball rolling around. 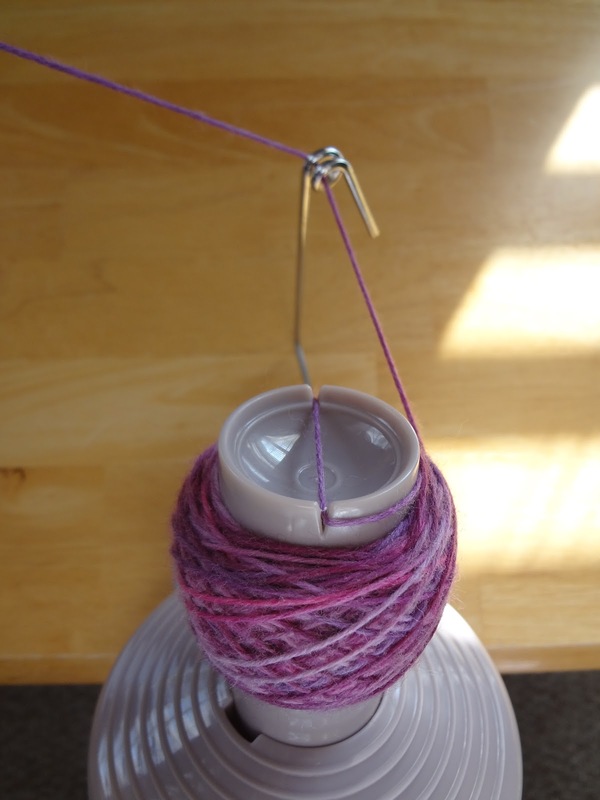 If you model has a swing out arm, be sure to do so and take one end of the yarn and feed it through the metal ring on the arm, then place it across the two notches on top of the center cylinder. This ball winder indicates the direction (to the right) and as I said earlier, I therefore placed it on the right. Begin gently turning the knob on the ball winder, going at a pace that it neither too fast nor too slow...you will be able to determine your pace as you begin to wind. 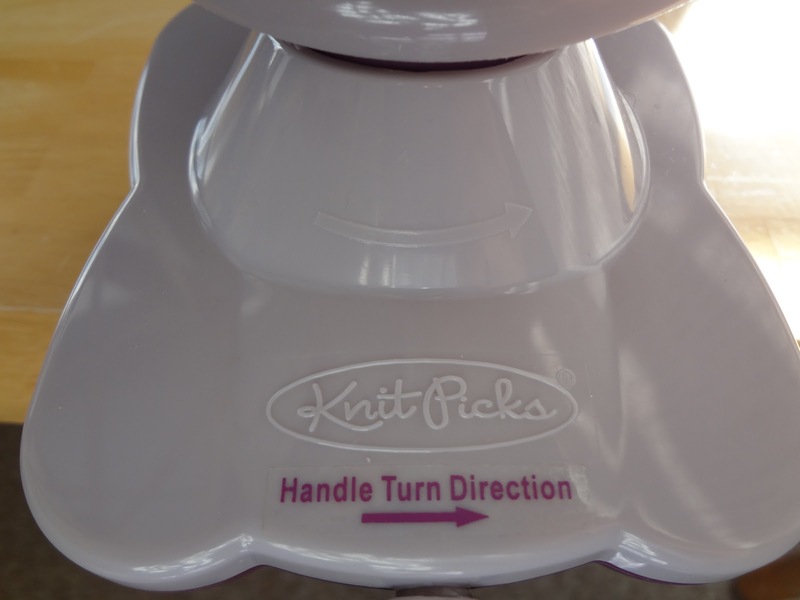 Both the swift and winder will both be turning as you turn the knob. 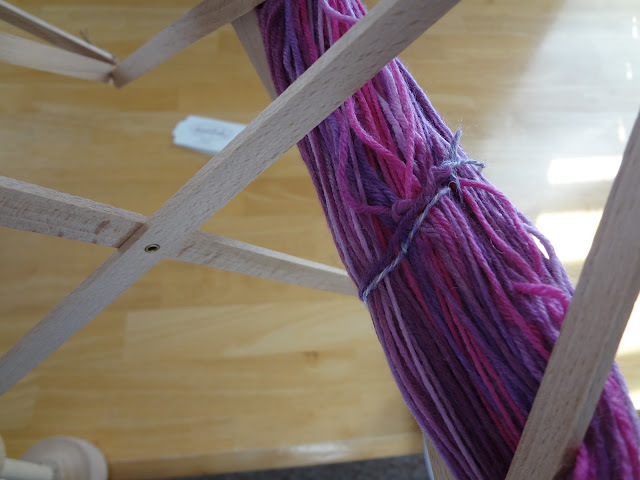 Important tip: Sometimes you will have to gently guide the yarn from the swift to the ball winder so it does not get caught on the swift's "spokes." When you are finished, carefully pull the center piece from when you began before lifting it off, otherwise it may get lost in the center (I speak from experience here!) 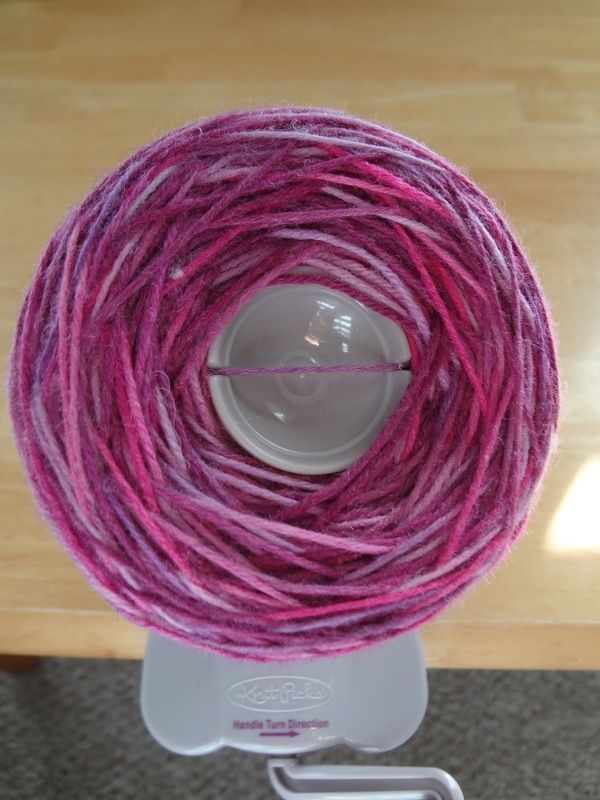 Use both hands and gently slip the yarn cake from the ball winder. 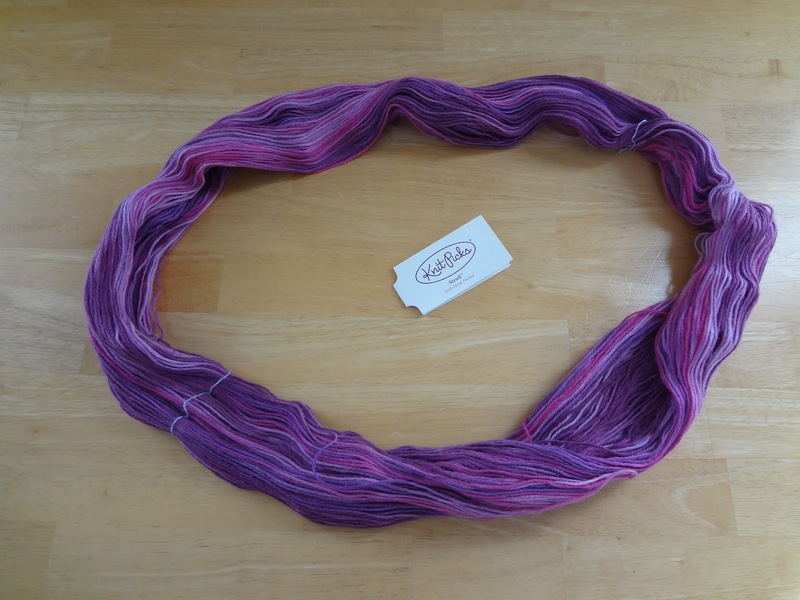 The nice thing about using an umbrella swift and ball winder to wind your yarn is that you can either pull from the center or the outside. Also, if you need to double up and hold two strands of yarn together for a knitting or crochet project, you have both ends in one place. 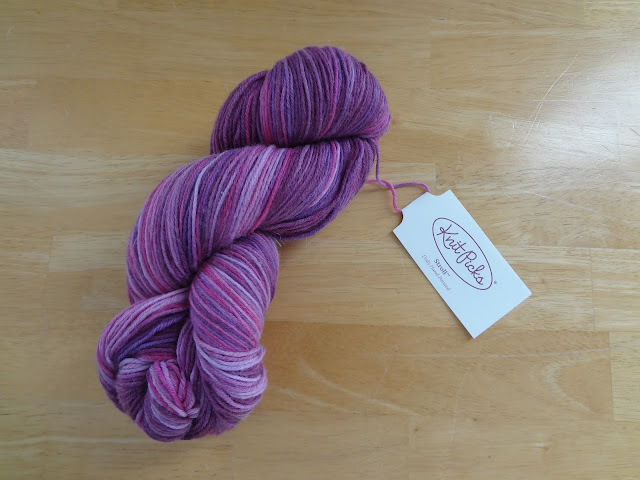 Some local yarn shops will wind your yarn when you purchase from their store, but I love to do it myself. 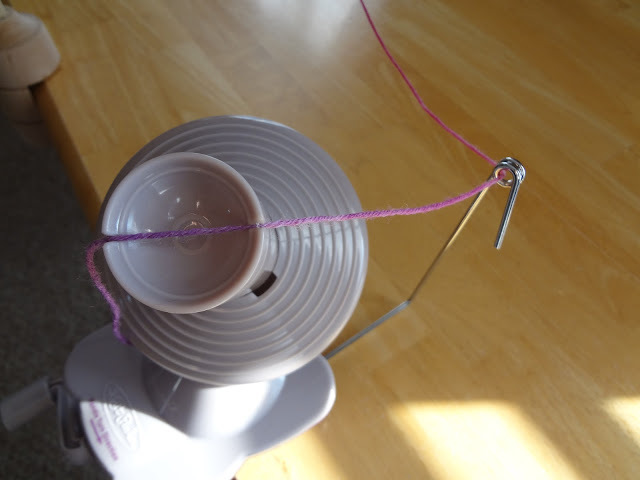 I have the same ball winder and everytime I use it the yarn cake flies off or the yarn doesn't wind on nicely on the bottom. Any tips?